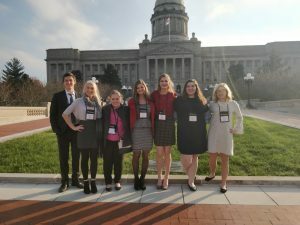 Knox County’s high school students have a message to share with state leaders, they are preparing to step in and solve issues facing the Commonwealth. 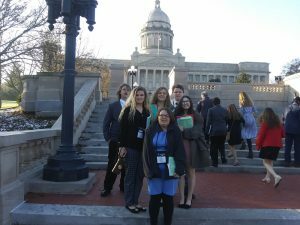 The Kentucky Youth Assembly (KYA) is a 3-day experiential learning program in which Knox Central and Lynn Camp joined other students across the state to serve as part of a model state government. 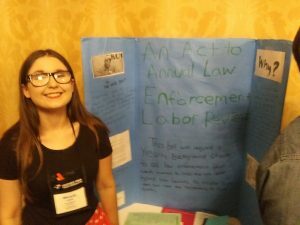 KYA offers students the opportunity to learn about a wide variety of issues, develop critical thinking skills, and articulate their beliefs while engaging constructively with their peers from other schools. The assembly is held in Frankfort at the Crowne Plaza Hotel with debates on Friday occurring inside the State Capitol. 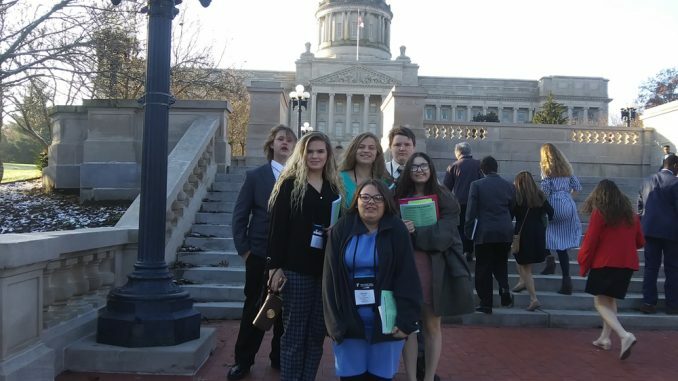 Knox Central’s members were awarded the title of Premiere Delegation. Madison Payne won outstanding delegate and Laura Beth Mills won outstanding speaker. 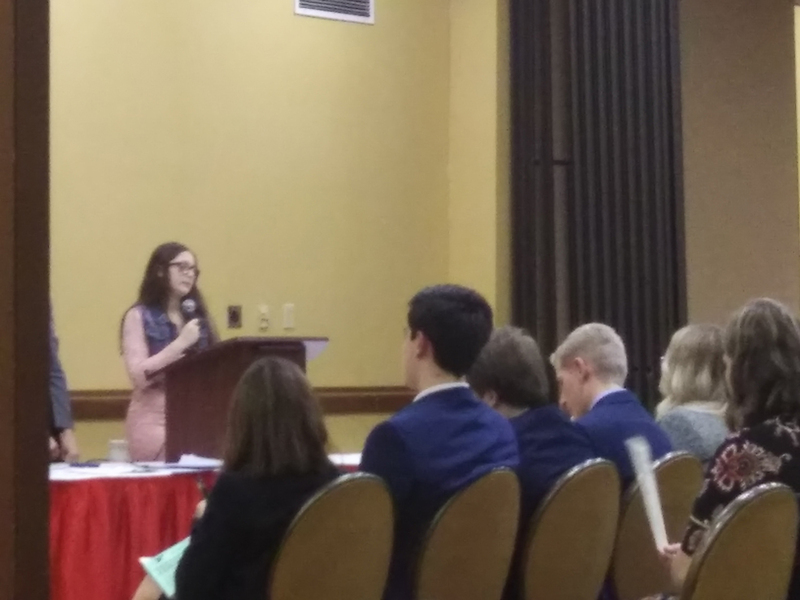 Maria Tye, Tori Owens, Gavin Smith, and Madison Payne did excellent jobs presenting a bill that there should be a 95% excise tax on liquid-nicotine products. Amber Brown, Kendahl Young, Brooklyn Ledford, Kiley Hinkle, and Jerod Smith were among the Knox Central delegates. Macayla Callebs and the Lynn Camp delegation brought distinction to their team of future leaders. Callebs’ bill, which was an act to enact annual law enforcement reviews, passed both the Commonwealth House of Representatives and the Commonwealth Senate. The first step was the Education Fair, during which bill sponsors talk to other delegates about their bills. Then Callebs presented her bill to the Commonwealth House of Representatives. Other Lynn Camp delegates serving along side Callebs were Tarrah Chafin, Annabelle Jones, Breanna Jones, Devon Smith, and Erik Smith. 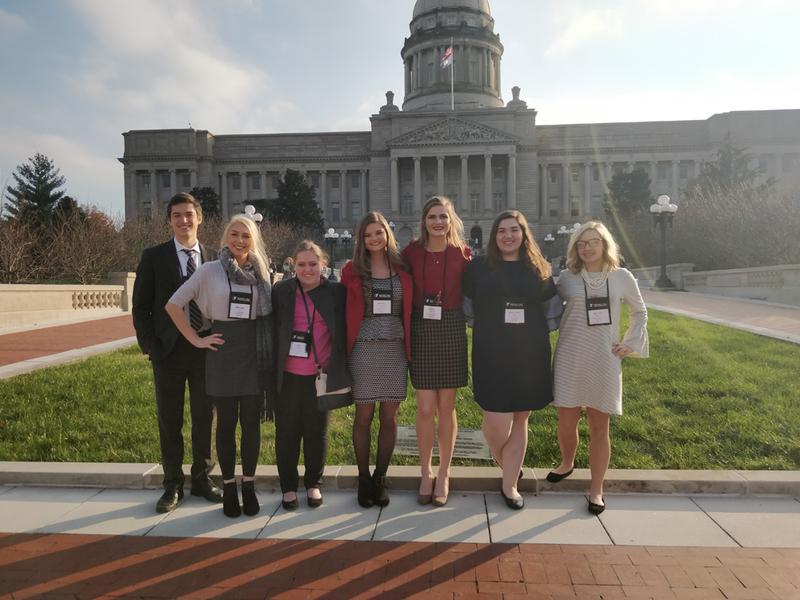 For more information about the Kentucky Youth Assembly, sponsored by the Kentucky YMCA, please visit http://www.kyymca.org/kya/. Their sponsors are Gus Gastov at Knox Central and Seth Hopkins at Lynn Camp.